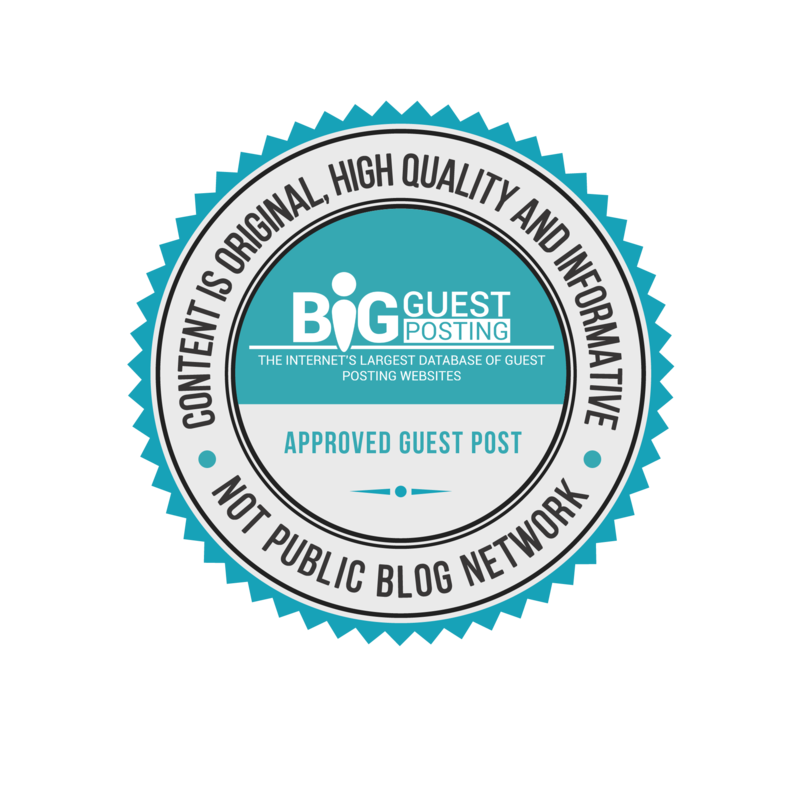 We were contacted by Big Guest Posting and they informed us that our site has been reviewed by the experts over at Big Guest Posting and passed their crucial criteria to become an approved guest posting website for bloggers which is great as they took the time to find us and check out our site and added us to their database of trusted websites. By guest posting on an approved website like ours, you can be confident and reassured that it's trustworthy and will in fact help your brand and not damage your search engine optimisation. You can check their guidelines on their site by clicking the approved badge on this page. Here at The Logo Creative™ we are always on the lookout and seeking talented writers, artists, and graphic designers to contribute to thelogocreative.co.uk. If you’re interested in writing an article we are always open to considering you, send us your submission after reading the guidelines and requirements below. Our graphic design blog is a source of graphic design inspiration, such as educational and informative articles for graphic designers and creatives and business owners alike, and even if you are interested in the creative field we hope the articles will be of value to you. We have a great community in our network of followers and our viewers range from logo designers, graphic designers, web designers and a mixture of freelance creatives, creative agencies, business owners and entrepreneurs looking to take their businesses to the next level our content has also been used in educational establishments for educational purposes. We seek perspectives from all industries. If you're worried your writing might not be up to par, we're more than happy to help edit and shape your story to share with the community. We're grateful that so many people from our readers and followers want to give back to the creative community by sharing advice, insight perspective here on the site. We want to make this a place where the creative voice is loud and proud!. Even though our main area of content is focused around graphic design in particular logo and brand identity design we do cover a wide area of topics including design history, freelance, and marketing in the design industry, brand strategy, Typography, design inspiration, web design, design tutorials and helpful advice articles for graphic designers. You're more than welcome to expand on any design related subject in your submission. To give you a better idea of the content we cover why not take a look at our blog categories. All articles must be original and never published anywhere else. Attribute links must be provided to link back to the source file or images. Your article requires at least 800 words but for good practice aim for 1500 please try to use correct English and spelling and try to edit before sending (We can help correct your grammar and spelling if your English is not so good.) If your article is very poorly written The Logo Creative editor may send it back to you for you to rewrite. If your article includes any images try to send these separately from your article, although still include them in your article document so we know the placing as this will allow our editor to publish the article quicker when images are sent separately. Please make sure that your article is written in a friendly manner and not biased in any way. Strictly “NO” plagiarism and all sources must be credited. Please note that if a bio is not supplied the article will have no bio. It will help build your content portfolio and give you a reputation for being a specialist in your field. It will also help you gain followers and engage with other creatives. The main reason to contribute and write is to give back to the community and add value by sharing knowledge and insights to help others. Articles must be exclusive to The Logo Creative™ site and not published anywhere else on the internet. Articles must not be copied from other sources as this is Plagiarism. We check all content for duplication. Please send any article images separately from your article and within the article so we know where they are placed as this will help our editors publish your article quicker on the website. Authors wishing to have a bio must include one in order to get recognition for their guest post. We do not allow any promotion of online Logo Makers or promotion of logo design services. If you are a logo designer and have been invited to contribute then a link back to your website will be allowed. Once a post has been submitted to us for publication and approved the content will be exclusive to The Logo Creative and cannot be retracted. You own author rights and will always be credited but the withdrawal of the article once submitted and approved is not allowed as this will interfere with our content publishing schedule. Sponsored design articles can be more 'self-promotional' than submitting a regular guest post, with aims to promote your design business such as a product or service, You may wish to promote your services to graphic designers such as a printing service or resources for designers such as fonts, typefaces, vector art work or merchandise and this would be an opportunity to achieve this. Our site gets around 360.000 monthly views, and content is shared continuously across our social media, newsletter and community server and groups. Regarding word limits articles must be at least 800 words but good pratice to aim for 1500 and include your promo links if applicable, articles of any topic are considered, we will let you know beforehand if they are not suitable. Promo links are limited to 4, but linking to authority websites and internal pages is good practice for our website. Short bio included if required to promote the author with website/twitter or other social media links. We are always interested to read proposals from designers or people with an interest in logo design, graphic design, branding etc looking to share their insights on our graphic design blog with a guest post, there are some rules to consider that the (paid) sponsored articles. Must be 100% unique and exclusive to The Logo Creative™ Design blog. Articles must not be purely promotional in nature, instead, informative and offer value to the reader. Article length must be at least 1500 words, preferably in UK English. No maximum length. 1 link allowed but remember guest posts are to share insights and knowledge they are meant to be fun, not promotional, linking to authority websites and internal pages on our website are good practice. Linking to your own or other company service pages is prohibited and these links will be removed. Must be of interest to logo and graphic designers, creatives, freelancers, or general business interest to educate the none creatives. A short bio will be added to promote the author if included, this can include the link to either your website or social media. We are happy to create any imagery required if needed. If you want to pitch a title or topic to us before you submit any content that's ok, you can either fill in our contact form or message me on twitter. Both our sponsored and free guest articles are shared across our twitter and other social media, Obviously the articles will remain in the archives indefinitely and randomly shared out on a daily basis, guaranteeing page views after the article has left the home page.